Is Cholecystectomy Alone Enough To Prevent Acute Biliary Pancreatitis Attack? Introduction The main objective of this study is to find out whether laparoscopic cholecystectomy alone is enough to prevent acute biliary pancreatitis attacks. Material and Method We performed a retrospective study with acute biliary pancreatitis patients who previously undergone cholecystectomy at the Istanbul Faculty of Medicine, Department of General Surgery, between January 2012 and December 2015. Acute biliary pancreatitis was diagnosed with elevated serum and urinary amylase levels with biliary pain. All the diagnoses were made with a combination of cholecystectomy history, physical examination, laboratory tests and imaging techniques [ultrasonography, magnetic resonance cholangiopancreaticography, computed tomography]. Ranson and Balthazar scores are assessed for each case. According to revised Atlanta grading system, the cases are classified as mild, moderate and severe pancreatitis. After a careful evaluation non-biliary pancreatitis patients are excluded from the study. Patients’ demographic datas, comorbidities, history of cholecystectomy and pancreatitis, laboratory tests, invasive procedures, rates of morbidity and mortality and period of hospital stay were analyzed. Results The mean age was 51.5 (21–73) years. Thirty-one patients were enrolled in the study, 23 of them (74.1%) were female and eight (25.9%) were male. The average Ranson score was calculated as According to revised Atlanta scoring system; 28 cases were assessed as mild, one case was moderate and two cases were in the severe category. Necrosis was seen in both severe cases, and there was no necrosis in the moderate category. Balthazar score for the mild cases were counted as 0, moderate cases were 1, and the severe cases as 7. There was no correlation between C-reactive protein level and necrosis with clinical severity. In 19 (61%) of the cases, biliary stone was spotted in the common bile duct on the radiology. Then, endoscopic retrograde pancreaticography was applied for these 19 patients. Two of the cases had infected-necrotizing pancreatitis. Disease lasted fatal in these two cases due to sepsis and multiple organ failure. Percutaneous drainage was applied under USG by the radiologist for one patient whom had an image of collection in the gall bladder bed. Three patients were excluded from the study as non-biliary pancreatitis. The average length of hospital stay was measured as 4-5 days. Conclusion Early cholecystectomy after first pancreatitis attack together with endoscopic retrograde pancreaticography procedure (for the cases that have indication) decreases rates of complication and recurrence greatly. 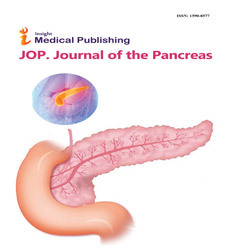 Laparoscopic cholecystectomy alone does not always prevent acute biliary pancreatitis attacks, in patients with prior endoscopic retrograde pancreaticography traumas and patients with high cholestasis enzymes during pancreatitis. Prospective randomized large studies are needed to reach certain etiologic reasons.